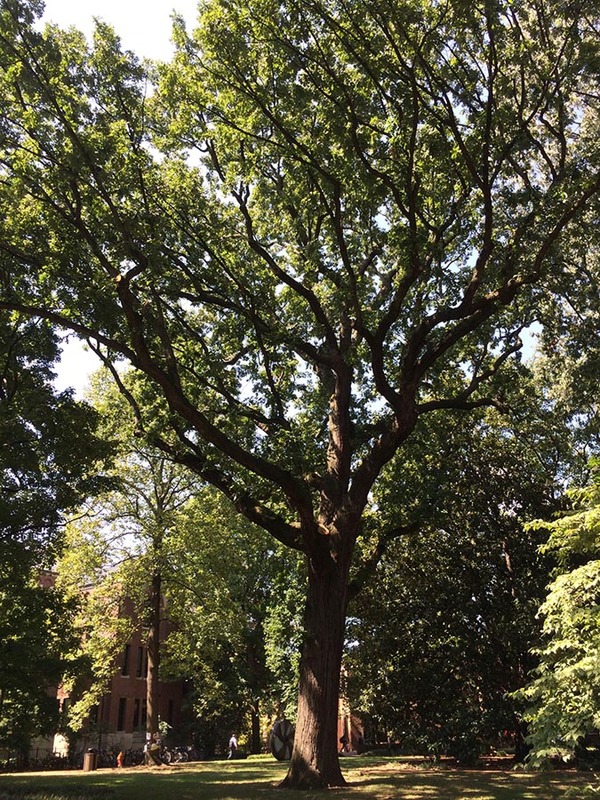 This large bur oak is the only tree on the Vanderbilt campus known to predate the university. A landmark throughout the history of Vanderbilt University, it stood originally on the 1874 farm of Bishop Holland McTyeir. It was recognized in 1974 as being over two hundred years old with a plaque designating it as the Bicentennial Oak. The oak is one of the three largest trees on campus, with a diameter almost five feet and a crown spread of nearly a hundred feet. It is featured in the book The Trees of Vanderbilt and has its own webpage.